Cybernetika just round-house kicked through my eardrums right now. I had forgotten the guy (yes, I know) but met him today at 9am in another of my hidden sub-folders. I said "Hey Beber, what are you up to these days ?" and he answered "t-t-k-tk-tk-tk-tsh-tk-tk-t-tksh ioowuuuiiitktktktktktkshhh pf tsh pf tsh tk tk tsh". Fortunately, I had learned the drum-and-bass language back when I was at school. So I knew I had to put him on the blog in order for him to be able to pulse a vibrating rhytmic energy through the greatest number of brains possible. An excellent road companion, although a little dangerous for the neophyte, listening to Cybernetika while driving ensures an early arrival. Broken beats, robotic atmospheres, this really sounds like the Earth's last battle for survival, as the frame-story of Colossus tells. You can read about it by checking the flavour text on the download link. I'm not going to steal that from them, that wouldn't be very nice, and what good would be a blog that only copies other websites ? 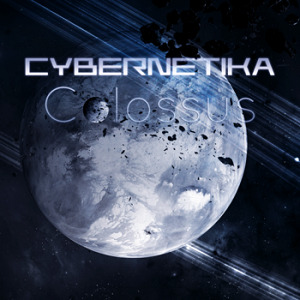 Cybernetika released his three albums "The Scythe of Orion", "Atropos" and "Colossus" on the Ektoplazm netlabel. But this one is for me by far the best, and the one that shows best Cybernetika's mastery and craftsmanship. By the way, you shouldn't let the description you'll find on Ektoplazm fool you, this is no psytrance at all, but good old drum-and-bass, with a psychedelic twist. Get this release for free here.